This tiny, beautiful island is home to some of the best snorkeling in the Caribbean. Located just seven miles from St. Martin, quiet Anguilla offers a laidback pace of life — you’ll want to spend every day lounging on the beach and snorkeling in the crystal-clear water, and your nights listening to live music at the beachfront bars. 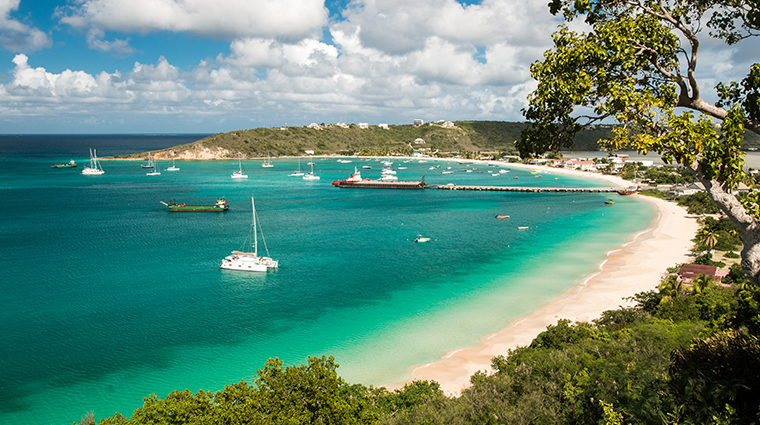 When you’re ready for some down time, book a room at one of Anguilla’s luxurious resorts. Though the island is only 35 square miles, it boasts some of the region’s most luxurious hotels and most upscale dining, making this one chic escape.